When are 90 days not 90 days? When the customer decides when to start counting. The Forum formerly entered Aggregate Industries into their Hall of Shame at 10.00 am on the 9th February 2016 for their excessively long payment terms after a member reported that the company pays in 90 days. 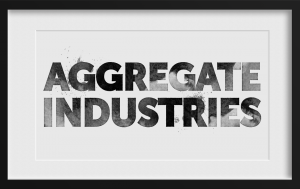 Aggregate Industries claimed that they paid end of the month plus 63 days (the EU maximum is 60). This would mean that an invoice submitted on the 24th of January would be paid in the first week of April. From the evidence, still being paid 3 months after the invoice was sent. The construction materials provider, which can trace its heritage in the UK from the Ellis family, is now owned by Swiss-based conglomerate Lafarge-Holcim. The company is the second well-publicised case where a Quaker family business that was established to trade ethically is now mistreating its suppliers, the first being Mondelez (who own Cadburys) in 2014. The company does dispute the charge as they claim to pay their suppliers at the end of the month plus 63 days and feels that the claim is “factually incorrect”. The Forum stands by its allegation on the basis that a supplier who invoices after the first week of the month should be paid in less than three months, in this instance this was not the case. “We were initially unclear if this was a mistake on their part or an issue that had come about when they started to use a supplier management system, but the letter we received back from the company left us in no doubt”, stated Ian Cass, Managing Director of the Forum of Private Business. “EU regulation is clear that a company should pay within 60 days, there is some leeway in terms of invoice date or the receipt of the invoice but what it is clear that the customer cannot simply choose when the clock starts and then give themselves an extra three days for processing”. The Prompt Payment Code has recognised this as an issue and has asked signatories to complete a How to Get Paid Guide for suppliers. This is a powerful tool to help avoid any misunderstandings and we would be delighted to see Aggregate Industries as a signatory of the code. The Forum invited Aggregate Industries to join the Prompt Payment Code in December.